Man, the new year really snuck up on us there, didn’t it? I feel like it was August like, a month ago. But 2014 gallops apace, and once again I’m going through my review archive and compiling my list of my favorite books from this past year. Loyal readers will note that I have learned from last year and am writing this entry on December 31th, instead of attempting to write a “best of” list on January 1st whilst fighting an angry hangover. Hooray for progress. As always, the following list contains books that I read in 2013, not books that necessarily came out in that year. Once again, it’s a pretty eclectic list, but I think it represents the scope of my reading this past year. And I’m more or less caught up with my backlog of reviews by now, so this year there is a corresponding review for almost every book on this list. Please enjoy, loyal readers. The closing of an independent bookstore always results in a barrage of mixed feelings for me. 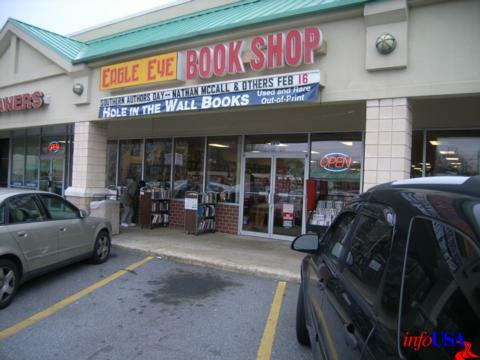 I’m saddened when I find out that a local bookstore is going out of business, and also feel guilty that I never visited the store more often (or at all) before its decline – there’s always the sense that I, in my own small way, contributed to the closing. And then my excitement over the going-out-of-business deals makes me feel like some sort of carrion bird, gleefully picking at the carcass of something that was beautiful once. It’s callous, really, the way I descend on closing bookstores and pick through their heavily-discounted wares that I never appreciated before. But on the other hand…cheap books. My second trip to Eagle Eye wasn’t intended to be a book-buying excursion. I was there just to pick up my ticket for the Neil Gaiman reading on Saturday – obviously I’m super excited about this, and am only sad that I couldn’t get an advance copy of The Ocean at the End of the Lane, because if early reports are to be believed, it’s goddamn amazing. Anyway, my plan was to get in, pick up my ticket, get out, and continue running errands. Hello my blueberries, and welcome to the second installment of Loud Bookish Type’s irregularly-scheduled bookstore posts! This will be a slightly shorter entry, as it was a much shorter trip – in fact, I was only in the store for about twenty minutes, easily the briefest amount of time I’ve spent in a bookstore in years. So treat this entry as merely an introduction, since I will definitely be back in the future for a more in-depth look at the store.